Many different problems can affect the performance of your garage door, from worn out springs to problems with the opener's motor, to malfunctioning electrical components. To avoid many potential issues, regular maintenance is required. The routine service appointments our company provides can help you get the most out of your automatic door system and ensure that you can continue using it for a very long time. Over time, the components in charge of providing the counterbalance necessary to help your door move can start to weaken. Adjusting the tension of the springs requires expert skills and experience, as these components can be incredibly dangerous when mishandled, so tending to them is something you should always leave to professionals. 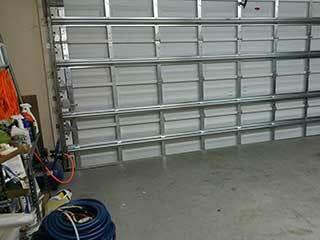 Regular tension adjustment can help keep your door balanced and make sure the springs aren't wearing out too quickly. Your opener comes equipped with special mechanisms that help to ensure it remains safe for you and your family to use. If these features malfunction for some reason, your safety may be at risk. Our team will check the alignment of the safety sensors, and the functionality of the auto-reverse mechanism, to make sure that you can keep using your door without fear. Some caution is still required, though, as these features can malfunction eventually, which is why testing them regularly is so important. In order to help your door move more smoothly and quietly, our team will also lubricate its different moving metal parts. This will reduce some of the friction that causes them to wear out more rapidly, and therefore contribute to their longevity and long-term functionality. This is another task that should be performed routinely in order to ensure that the mechanism remains operational and that the potential for problems affecting its performance is greatly reduced. If you'd like to get the most out of your system, reach out to our team at Garage Door Repair McDonough and schedule a maintenance appointment today.